I'm going to admit something. I love the beach, but I'm not as excited as I used to be when I was a few years younger. Not because I've grown up to be a party pooper, but it's just that there are a lot of things to consider now that I'm a mom. First, you worry about your kid... making sure you pack everything you might possibly need for your little one. Thinking of beach scenarios that might happen, and thinking of the corresponding items you might need during those scenarios. On top of that, you also need to pack for your husband. And of course, for you. And then there's the other factor. SKIN!!! Shucks! I don't have white luminous smooth skin but I just recently went to a dermatologist a few weeks back, for crying out loud! I just got some skin treatments to somehow treat the pimples and stuff. And I was clearly told not to stay out too long in the sun and to always always put sunscreen. But I still really want to enjoy the beach with my family. 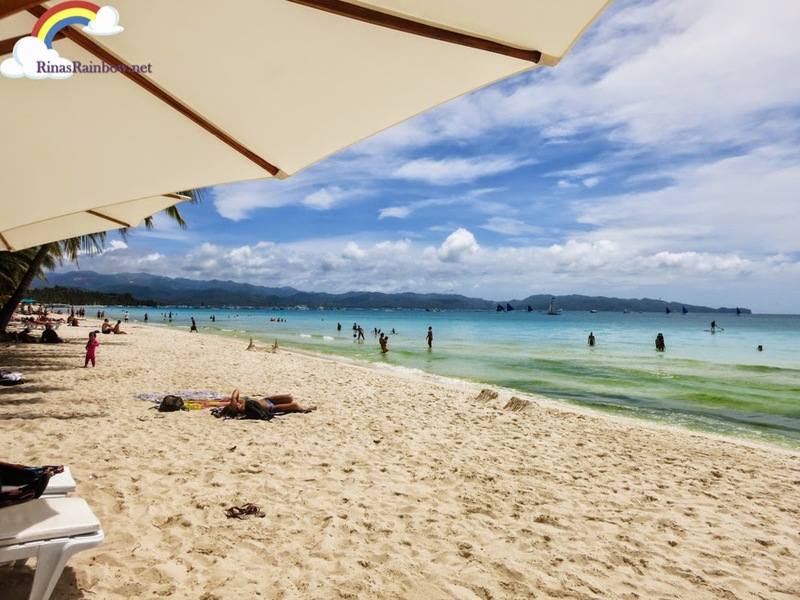 I mean look at that view I took of Boracay last weekend! How can anyone resist that?!? Of course, the solution was very obvious: SUNSCREEN. But my problem with other sunscreen is that sticky feeling. And the sunblock's main powers is to really protect your skin form harmful UV rays right? The whitening part, not really. 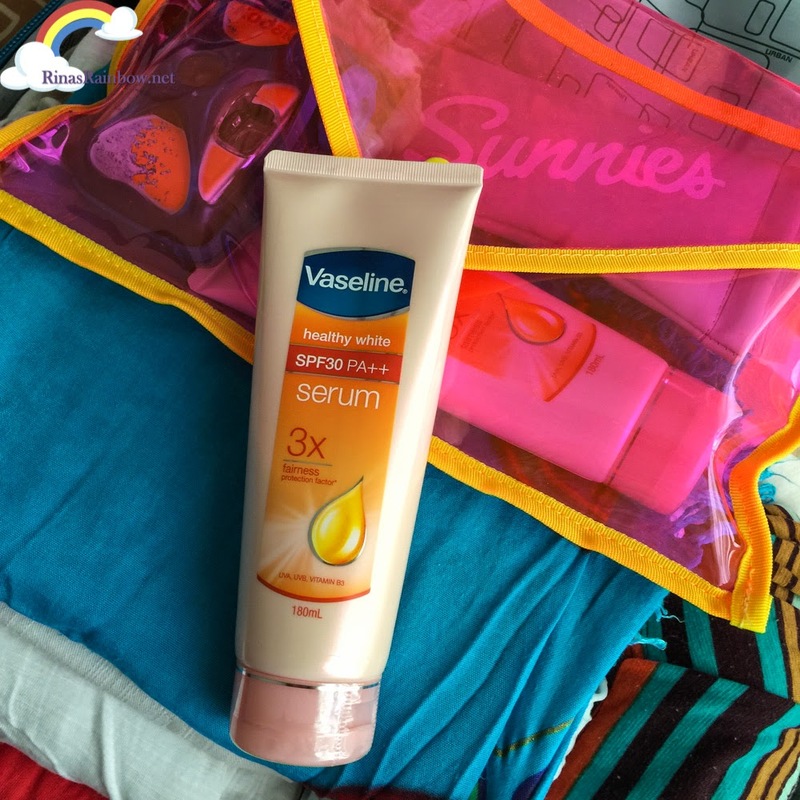 And that's why I chose to pack my NEW Vaseline Water-Based Whitening Serum for our beach weekend! What I like about it? First of all it's SPF 30. 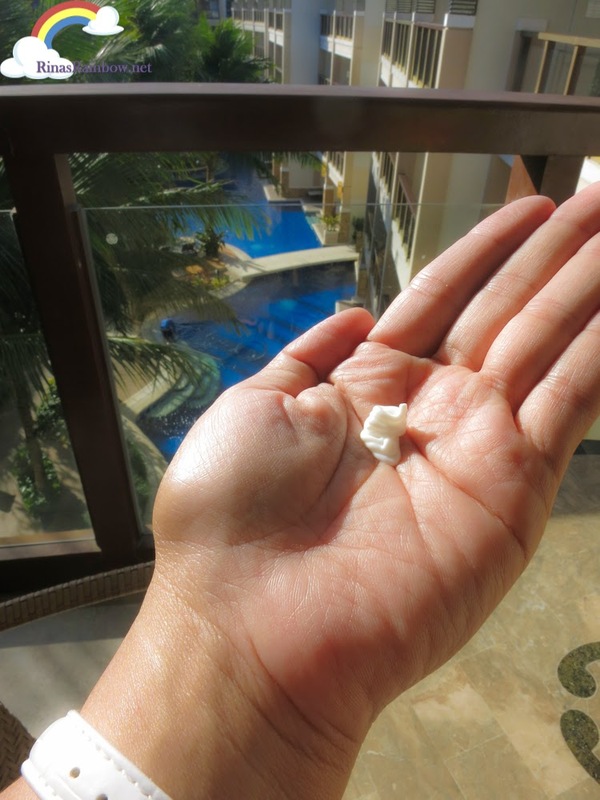 And apparently, this is enough SPF to provide up to 96% protection from the bad UVB rays, from skin damage and sunburn. Not only that. It has PA++ that protects the skin from UVA rays which unfortunately been causing these sun spots under my eyes. Another super power of this is how it has Vitamin B3! And this, my friends, is what helps whiten the skin 3x more compared to other whitening lotions! With continued use, of course. Alright! (Filipinos have a thing for fair skin). And last but not the least, since it is water-based, it feels really light on the skin. It's not sticky at all. It's very refreshing, not to mention I love love love the smell! 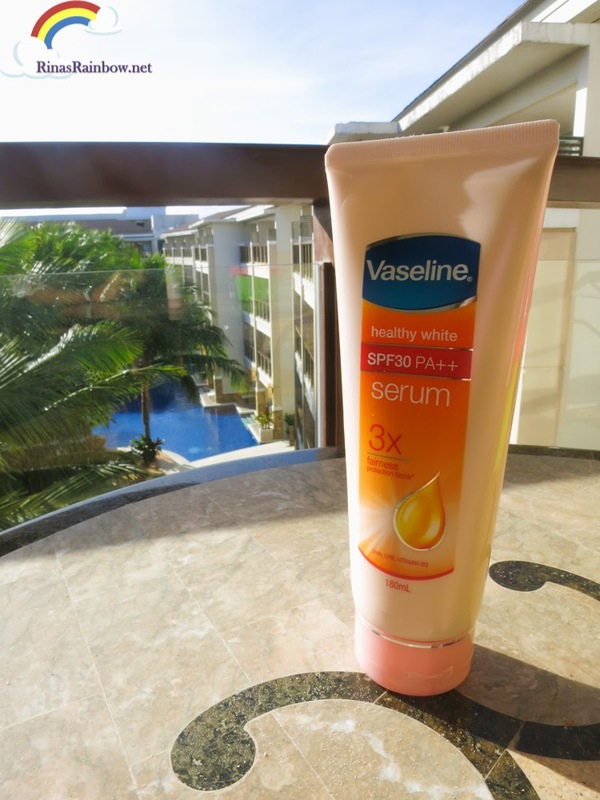 While the NEW Vaseline whitening serum does a great job, I'm sure your derma will still advice you to wear something to shade your face from the sun. That's why I always take my big pink hat with me. That's right. It's not a fashion statement. It's protection! 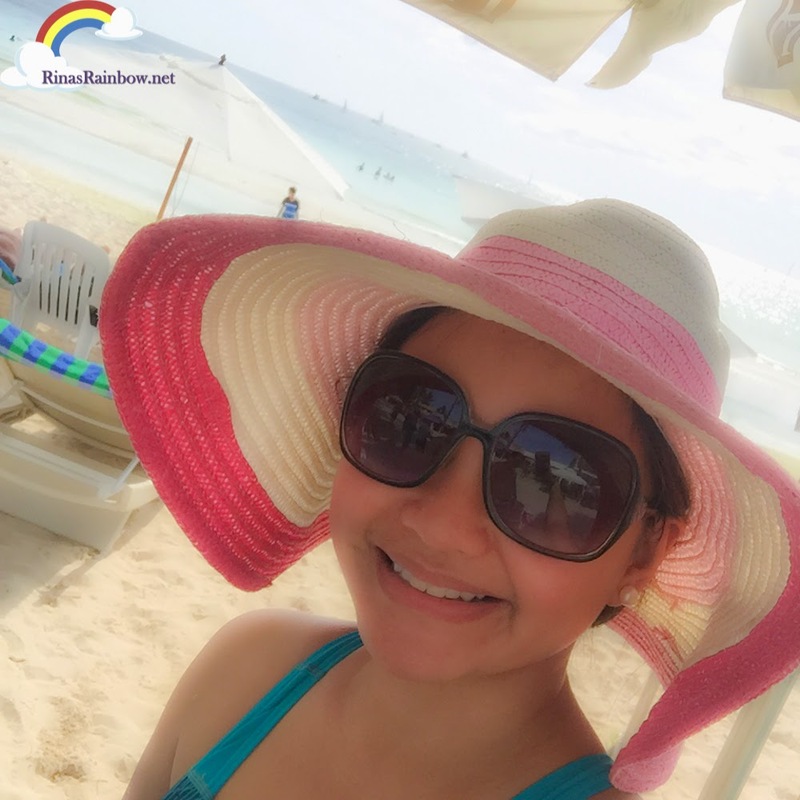 So if you happen to be in Boracay last weekend and see a lady in a big pink and white hat, chasing a little girl around the beach, that was me! Here's me and my husband and little girl in the background enjoying Hennan Lagoon's amazing lagoon-sized pool (my post on this coming soon!). This was already during the late afternoon so the sun was setting. Hence my hat-less self. The cool thing was that as soon as we landed back in Manila, and my sister picked us up from the airport, she told us that we didn't look like we got darker. Alright, Vaseline! So anyway, these are the reasons why I think the NEW Vaseline Water-Based Whitening Serum is an excellent lotion to have in your bag. 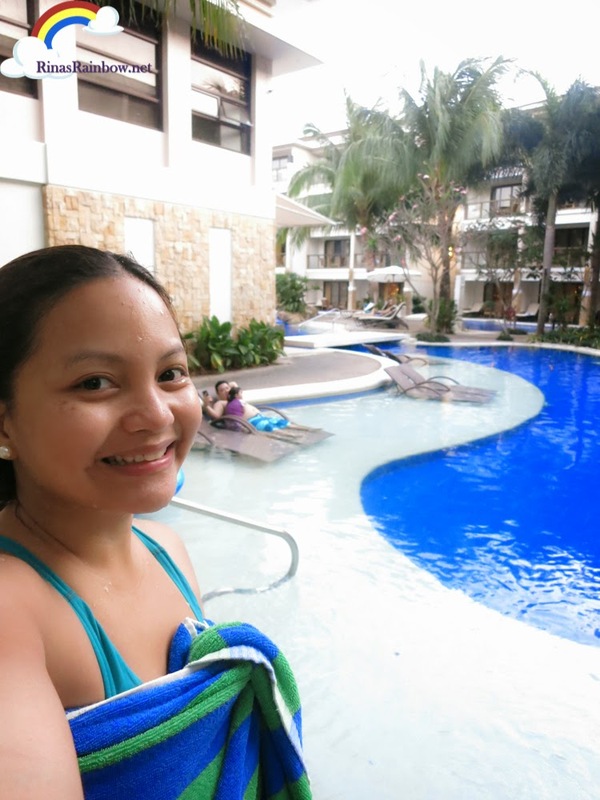 With it, I was able to #SeizeTheSummer! Yay Vaseline! 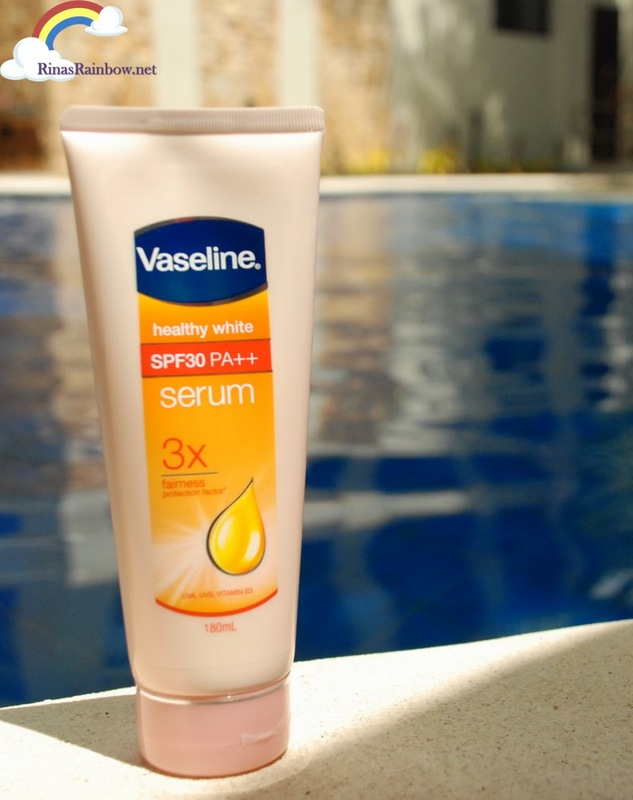 The NEW Vaseline Water-Based Whitening Serum is available in all stores nationwide. It's P249 for 180mL, And only P99 for 70mL. 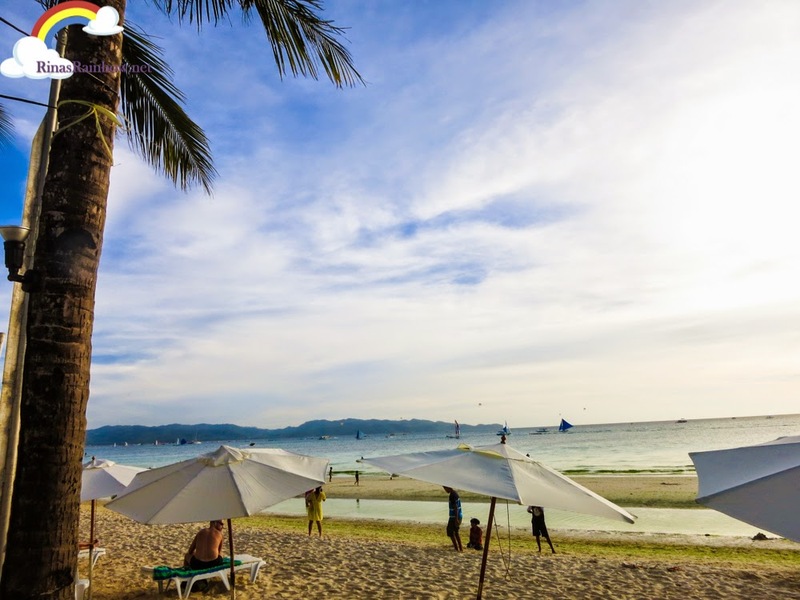 Boracay is indeed a beautiful place! I even learnt the island's ins and outs from http://www.tripmoba.com/Guide_Show.aspx?GuideID=73 and I can't wait to go there this mother's day.